﻿ Ready to Have Your Best Holiday Season Ever? Top Questions Answered From Our Webinar » Red Mango Marketing! You’re probably ready to relax and enjoy a Thanksgiving feast with family and friends. However, this is the best time to implement a marketing strategy to help your business have the best holiday season ever. Well, you already know that email marketing is the best way reach your customers, members, or donors over the holidays and beyond. That’s because you’ll reach them wherever they are. You’ll have the flexibility to design your emails to catch their attention and get them to take action. Here are answers to the top questions we received. Online search is an integral part of a prospect’s quest when looking for a particular type of business. So, make sure potential customers can find you in multiple places online, including social media. Reviews can also play a major role in getting someone to use your business. Make sure you ask your existing customers to write reviews for you. Don’t be afraid to ask people to spread the word about your business or organization either. Once people find you, encourage them to join your email list. Add a sign-up form or link wherever you interact with them: your website, social media pages, and even in face-to-face interactions. You’ll find a variety of tools you can use to build your email list within your Constant Contact account. Be sure to check out our new pop-up form feature and add it to your website. How do I segment my contact list so I can target them with a relevant offer? 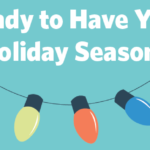 It’s important to know that your holiday promotions and messages aren’t one-size-fits-all. When your subscribers receive relevant promotions and content, they’re more likely to take an action, helping you to reach your goals. So, make sure you segment your list based on your customers’ demographics or location. Ideally, you’ll want to segment new contacts the moment they sign up. Customize your sign-up form and let them choose the list and the type of content they want to receive. If you need to segment by location, you can add an address field to your form. For existing contacts, you can automatically segment based on your clicks. That way you can follow up with more relevant information. How do I increase my email open and click rate? To get results from your email marketing campaign, you need people to open your email and then take action. Let’s look at the factors that affect your open rate. First and foremost, take some time to get your header options right. Make sure the From information is clear, people should recognize the name and feel comfortable opening the email. Ideally, this information should include the company name and remain consistent for every email you send. Then the subject line should catch their attention and make them want to open the email now rather than later. Here are some tips for writing subject lines. The preheader text is an extension of your subject line and should further entice your reader to open the email. To increase your click-through rate, make it easy for your readers to take action. Each email should have one primary call-to-action. Make it stand out by using a button that can be seen easily. Remember, you don’t need a complicated design to your emails. All you need is a picture, a paragraph, and your call-to-action to yield the highest click rates. How do I increase donations or sales? In the end, all of the suggestions shared above are going to play into helping you increase your donations or sales. But what else, haven’t we mentioned? Make sure your content is compelling and persuasive. Quickly let them know what the offer is using a headline. How will it help the reader? Use the message body to explain your offer and direct them to your call to action. Use button text to let readers know what will happen when they take action. Don’t forget to add an image to help readers connect with your content and make it clickable by adding a link to the specific page you want them to go. Ideally, use your own photos, however stock images can work just as well as long as they don’t look too staged. Is it best to run one offer for the whole season or different offers for Black Friday, Cyber Monday etc.? This is going to depend on the bandwidth you have. If you have someone who helps with your marketing, you might consider creating multiple offers to keep your audience interested. If you’re someone with more limited time, pick one offer and run it for a limited time period to entice people to take action quickly. Use our How to Create a Great Holiday Offer [Link to the Handout] worksheet to create an offer that will help your business or organization rock the holiday season. You can find other great ideas and tips by watching the webinar How to Have the Best Holiday Season Ever. The post Ready to Have Your Best Holiday Season Ever? Top Questions Answered From Our Webinar appeared first on Constant Contact Blogs. This entry was posted on Wednesday, November 15th, 2017 at 8:00 am	and is filed under Email Marketing, News & Updates, Online Marketing. You can follow any responses to this entry through the RSS 2.0 feed. Both comments and pings are currently closed.